2. In the PUBLISH window, click on "Embed" and click on "COPY CODE" option. 7. Click publish button and set your website addresses. Wait until you get the success message on the screen. The background color attribute of the form seems to be ignored when inserted into the HTML box. I tried several different background colors including "transparent" and all I get is a white background on the form. Any ideas? facile da creare ragazzi ma come faccio ad includerlo nel mio sito che ho creato con dream weaver???? 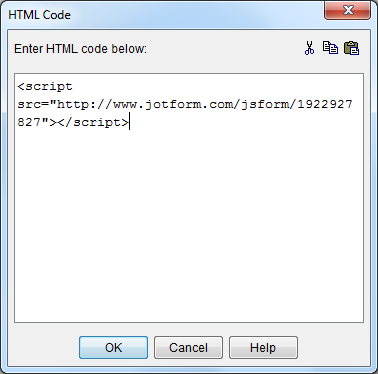 Yahoo site builder - Can I get my form without java script? I cannot embed the Form. 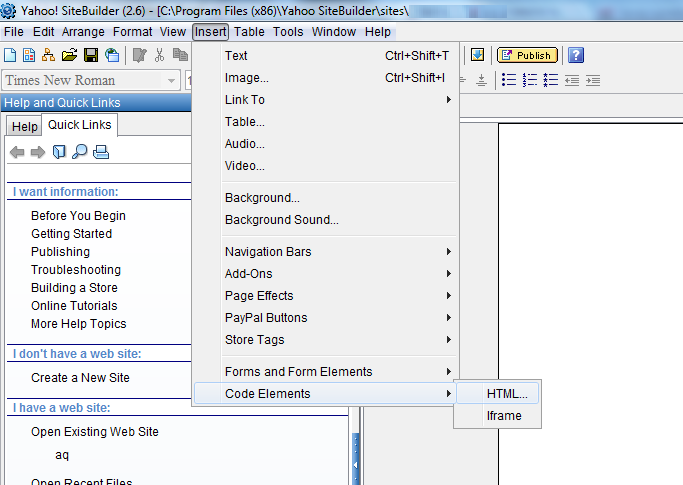 Where are the body tags on Yahoo Site Builder where I'm suposed to past the code to embed the form. how can i add a lightbox to my website that i built in yahoo site builder?